I was perusing Pinterest a while back, and found a picture of this recipe. So, I looked it up and found that is “fits” exactly what I’ve been making lately. When I was planning the grocery list this week, I noticed that we had everything to make it, so on the menu it went. It’s really an easy recipe, the hardest part being pounding the chicken breasts. Notice I made 5 portions, out of 2 large breasts. I chopped up some fresh mozzarella we had in place of the shredded mozzarella. Please make note that I didn’t measure the almond flour, and went heavy, and still ran out, so plan to go HEAVY!! Instructions: Preheat oven to 375F/190C. Spray a small casserole dish with non-stick spray. 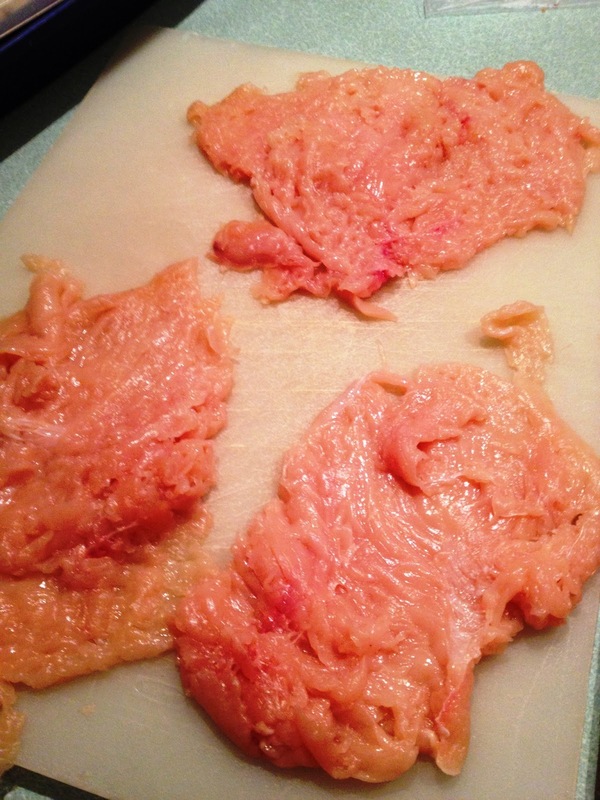 Trim any visible fat from chicken breasts, then put them one at a time inside a heavy plastic bag and pound with meat mallet until the chicken is as thin as you can get it. Don't worry too much about the shape or whether there are some loose pieces, you can tuck them in when you roll up the chicken. In a small bowl mix together the basil pesto, sour cream, and mozzarella. 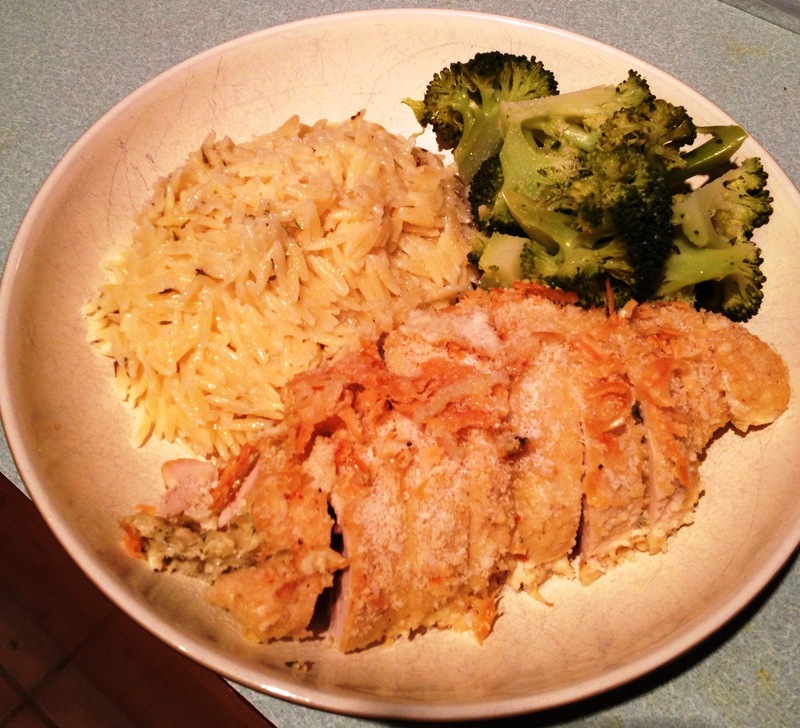 Put chicken breasts into the casserole dish and bake until the chicken is firm and lightly browned. (Start checking after about 25-30 minutes; total baking time will be 40-45 minutes.) Serve hot.